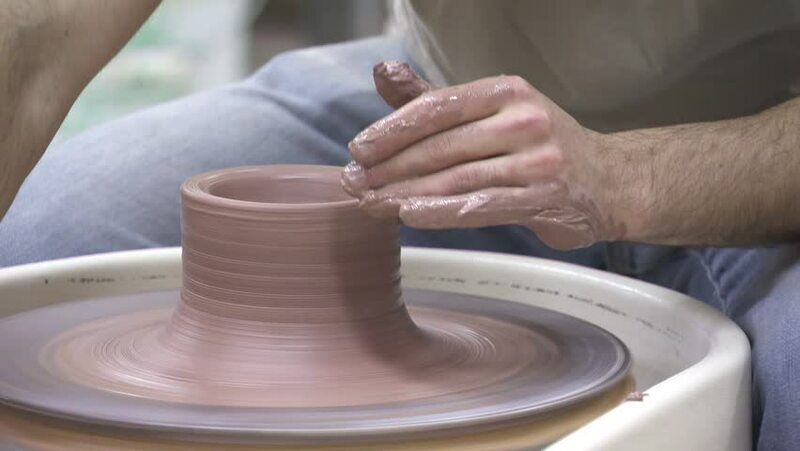 4k00:11Potter's Hands Work with Clay on a Potter's Wheel. Potter shapes the clay product with pottery tools on the potter's wheel, Close up. Fine craftsmanship and creation of stylish objects. hd00:16pottery workshop. handmade craft. artisan working with clay on turning potter wheel. hd00:13Woman girl her hands dub wall jug, sculpts out of clay on circle.Workshop on sculpt white clay closeup.Dirty hands in the clay.Making ceramic products Macro. Artistic creative. Camera motion HD1080. hd00:11BANGKOK, THAILAND, DISCOVER THAINESS 2015, January 14, 2015: A man sculpture vase with hand on January14, 2015 in Bangkok, Thailand.